NASA has selected nine research teams from seven states for a new institute that will bring researchers together in a collaborative virtual setting to focus on questions concerning space science and human space exploration. The teams participating in the Solar System Exploration Research Virtual Institute (SSERVI) will address scientific questions about the moon, near-Earth asteroids, the Martian moons Phobos and Deimos, and their near space environments, in cooperation with international partners. Based and managed at NASA’s Ames Research Center at Moffett Field, Calif., the institute will support scientific research and complement and extend existing NASA science programs. SSERVI represents an expansion of NASA’s Lunar Science Institute, established at Ames in 2008, to include other solar system destinations. “SSERVI continues to strengthen the collaboration between exploration and science as we explore the solar system together,” said Jason Crusan, director of the Advanced Exploration Systems Division in NASA’s Human Exploration and Operations Mission Directorate in Washington. SSERVI members include academic institutions, non-profit research institutes, private companies, NASA centers and other government laboratories. 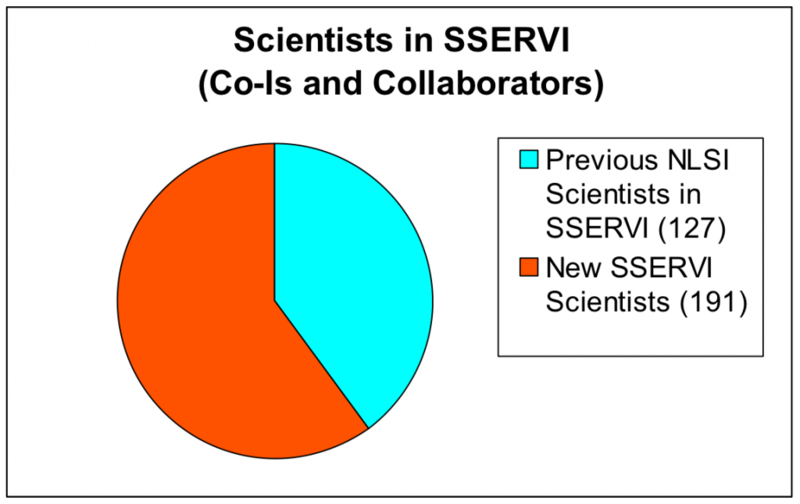 The winning teams, which SSERVI will support for five years at a combined total of about $12 million per year, were selected from a pool of 32 proposals based on competitive peer-review evaluation. “We are extremely pleased that the community responded with such high-quality proposals, and look forward to the many contributions new SSERVI team members will make in addressing NASA’s science and exploration goals,” said Yvonne Pendleton, the Institute’s director at NASA’s Ames Research Center at Moffett Field CA. 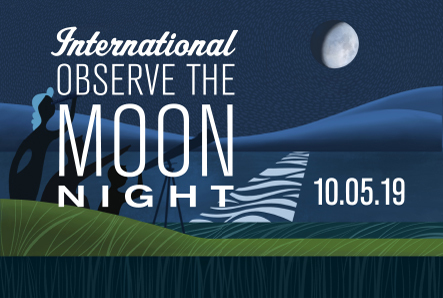 - Institute for the Science of Exploration Targets: Origin, Evolution and Discovery; principal investigator William Bottke, Southwest Research Institute in Boulder CO.
- Center for Lunar and Asteroid Surface Science; principal investigator Daniel Britt, University of Central Florida in Orlando FL. - Volatiles, Regolith and Thermal Investigations Consortium for Exploration and Science; principal investigator Ben Bussey, Johns Hopkins University Applied Physics Laboratory in Laurel MD. 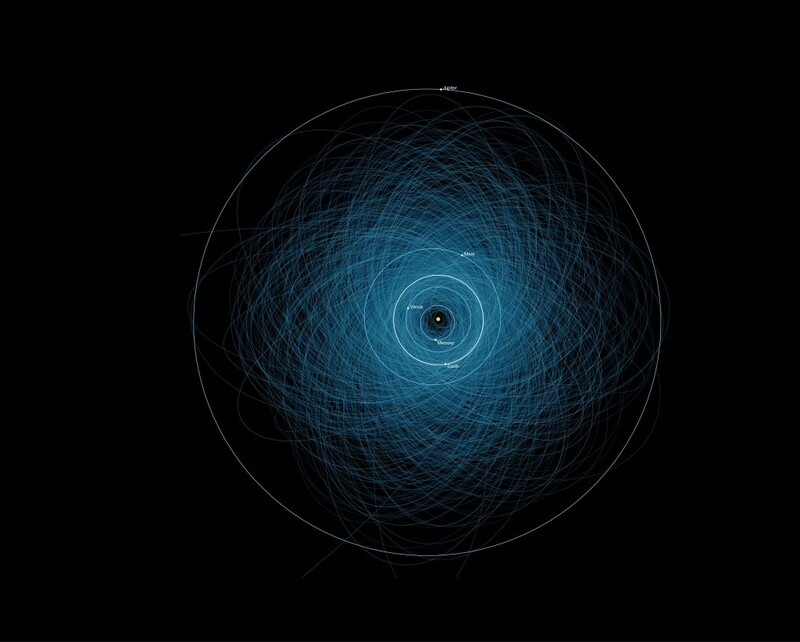 - Dynamic Response of Environments at Asteroids, the Moon, and moons of Mars; principal investigator William Farrell, NASA Goddard Space Flight Center in Greenbelt MD. - Remote, In Situ and Synchrotron Studies for Science and Exploration; principal investigator Timothy Glotch, Stony Brook University, NY. - Field Investigations to Enable Solar System Science and Exploration; principal investigator Jennifer Heldmann, NASA Ames Research Center, CA. 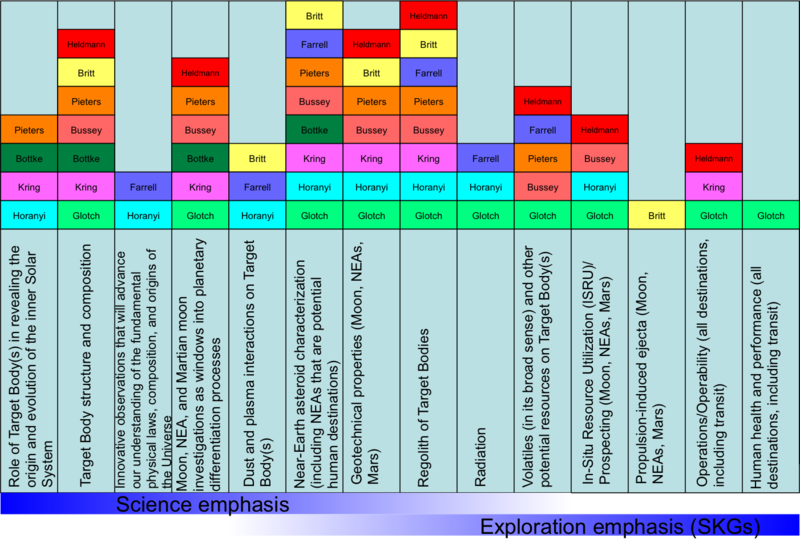 Focus: Volcanics construct and magma chamber evolution, impact cratering mechanics and chronology, sampling for impact melt geology/geochemistry, and volatile evolution and entrapment. 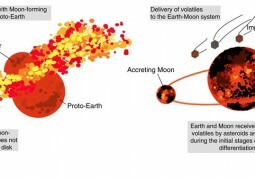 - Institute for Modeling Plasma, Atmospheres and Cosmic Dust; principal investigator Mihaly Horanyi, University of Colorado in Boulder CO.
- Inner Solar System Impact Processes; principal investigator David Kring, Lunar and Planetary Institute in Houston TX. - Evolution and Environment of Exploration Destinations: Science and Engineering Synergism; principal investigator Carle Pieters, Brown University in Providence RI. SSERVI is a virtual institute that, together with international partnerships, brings researchers together in a collaborative virtual setting. The virtual institute model enables cross-team and interdisciplinary research that pushes forward the boundaries of science and exploration. SSERVI is supported by the Science Mission Directorate (SMD) and Human Exploration and Operations Mission Directorate (HEOMD) at NASA Headquarters in Washington.